Learn more about TELUS building access agreements. 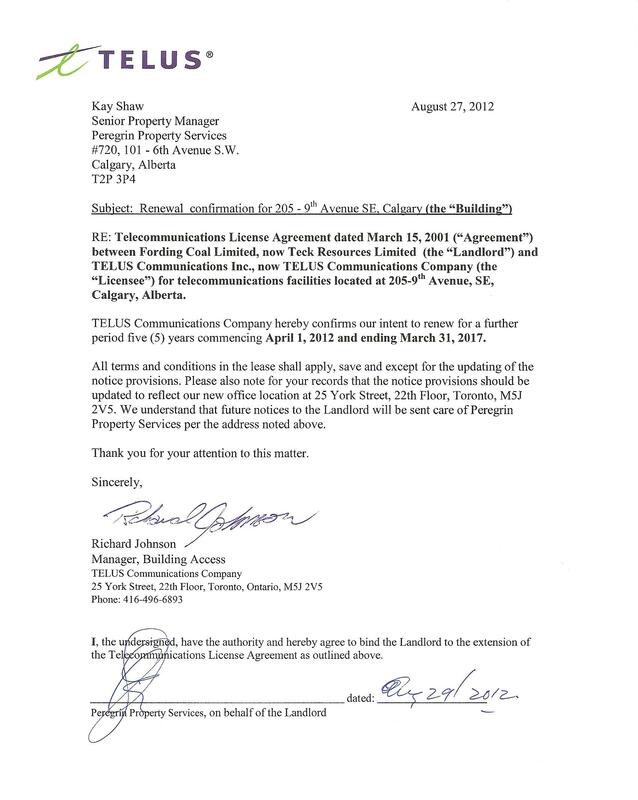 The following Access Agreements are posted pursuant to CRTC directive in Telecom Decision CRTC 2003-45, Provision of telecommunication services to customers in multi-dwelling units, dated June 30th, 2003. Rights of Way Agreements are obtained when required, in order to formalise TELUS's legal right to enter upon a private property and place facilities. These agreements are registered at the land titles offices in the province where the property in question is located and they are a matter of public record. For further information please contact rightofway@telus.com.